Perfect for detailed styling and shorter hair. Glimmering gold accents and plates and an enhanced design make this ghd gold V mini styler the deluxe option for shorter hair. Smoother gold plates glide effortlessly through the hair to make straightening even quicker and easier. While their contoured edges help to create perfect curls and waves, all with a high shine, salon-style finish. 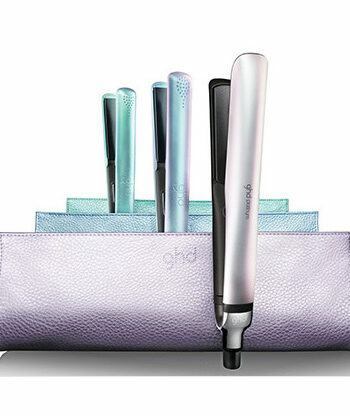 Buy ghd V Gold Mini Styler on-line today at Riah Hair.